Suffolk-based brewer, distiller and retailer Adnams has appointed food-and-beverage specialist Phipps Relations as its UK PR agency. The brief involves Phipps Relations working alongside Adnams’ marketing and communications team to create widespread consumer awareness of its beers, wines and spirits, and pub portfolio. The campaign will also leverage the strong relationship that Adnams has within the local community and its "pioneering environmental credentials". "Phipps came highly recommended to us. 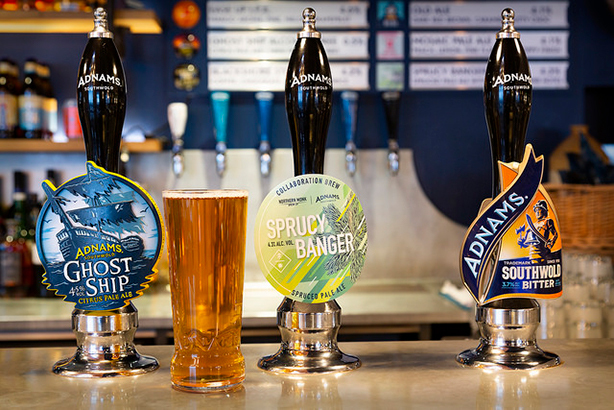 The team has an in-depth knowledge of the drinks industry and the consumer media landscape, so they were just what we were looking for as we bring new products to the market and grow the company," Adnams head of brand communications Sophie Harris said. Phipps has won a spate of new business in the alcoholic beverages space in recent months, including The International Wine Challenge, The Drinks Bakery and Argentinian winemaker Viñalba. "We’ve known Adnams for a long time and we are thrilled to be working with them," said Phipps managing director Nicky Forrest, who will lead the account. "The Adnams family values, pioneering products and innovative approach to the drinks industry make it an incredibly exciting business to work with."